Worst to Best 3D MCAD Systems and Why? This adds the influence of PLM on the High-end systems. The Worst to Best 3D MCAD Systems Expanded! So how am I judging this?? First, all these system can do the job. We are only considering their ease of use, cost, ROI and interoperability with other systems. How they handle imported data and how they communicate with manufacturing and other groups that depend on that information. We are only considering the basic product. Only the solid modeling product with no modules. Not that adding modules is a bad thing, due to the very expensive initial costs of the high-end systems, having the option to add only the capabilities you need keeps the price down. But it is nice to have all the capabilities without jumping through a bunch of hoops to define your needs. It is nice to have surfacing available, that is a big reason to buy the mid-range products. The high-end packages do not offer any increased modeling capabilities. This is 3D MCAD only, not CAE. No consideration is given to analysis or simulation capabilities. The first three programs should not even be considered unless you are a company with multi-year projects, with many concurrent users and outside suppliers and can afford the huge overhead costs required to implement and maintain the system or if you have an "in concrete" long term contract with a company that uses them. The basic cost of the system is miniscule compared the required IT supporting staff to maintain them. They are designed in such a way as to create a heavy dependence on the system demanding more and more support from the CAD vendor. There is only one reason why this product is so popular? Why did Boeing settle on Catia?? It was the only 3D CAD system that ran on an IBM workstation at the time. They had experimented with Computervision which ran on a somewhat undependable mainframe computer that required a refrigerated room. Each station cost around $250,000 with a minimum order of 3 seats, yes $750,000. They tried a couple of other systems that did not need this computer power, but had their own unique hardware. In those days no manager got fired for buying IBM. This was a very logical decision. I have a bit of history with Catia. In 1986 I took a contract with Boeing Commercial in Everett and was assigned to 747 Flight Deck. I took the job to get back home. It was a board job even though I had 4 years of 3D CAD design experience on CV. Boeing did have a few seats of CV CADDS 3. The group had 3 seats of Catia 3. This was a 3D wireframe system with basic surfacing. The operators were prima donna drafters. I was informed there was a PC based 3D CAD system on a couple of Compaq’s. It was 3D CADKEY, since I already had 3D wireframe experience on CV and CADKEY was very similar I was up and running in 2 weeks of lunch hours. I soon proved that it was a serious 3D CAD system by doing a somewhat large project, the First Observers Workstation. Soon we had 45 seats of CADKEY and eliminated one seat of Catia. Boeing commercial eventually ended up with 1500 seats of CADKEY. Why isn’t CADKEY Boeing’s Major 3D CAD system? CADKEY or Catia? Boeing’s Billion-Dollar 3D CAD Mistake! BCS (Boeing Computer Service). These folks were like the Gestapo. They could not control the new PC’s (Personal Computers) that were showing up everywhere. They actually had a vendetta against CADKEY. The grass root movement failed against this powerful organization. Back to Catia 5. 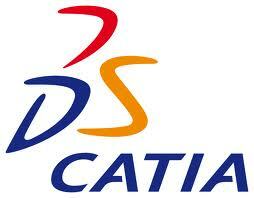 Yes, Catia 5, Catia 6 has been out for over 6 years and Boeing, Airbus and many other companies have not moved to it. The reason?? Many of you may not know about the Catia 4 to 5 fiasco. Catia 5 can not directly read or even utilize Catia 4 files. Every plane prior to the 787 was being completely or partially designed in Catia 4. This was, and still is, a complete horror show for Boeing and AirBus. Not only was Catia 5 not compatible with Catia 4 it was basically not compatible with the rest of the industry. Catia 4 was a direct editing Boolean program but Catia 5 was and still is history only. Luckily for Boeing, many 3D CAD systems could read Catia native files. But if you received a Boeing file and you needed to modify it, Boeing could not incorporate the changes without modifying the original part or recreating the part altogether. Catia 5 was basically a Pro/e Clone. Pro/e hit the market so hard that all future 3D CAD systems had to have history based parametric solid modeling. But instead of just buying Pro/e, I am sure, Boeing working with Dassault came up with Catia 5 (with the help of Solidworks??). In an industry where change is the only constant, having a history based only system puts them in a place where they were at the mercy of the biggest CAD limitation: The Pro/e history only based paradigm. Add to that the high turnover of engineering personnel. Many of you have suffered with changing a complex history/feature based part. This paradigm depends heavily on the experience of the user. If you are inexperienced or not too bright you can create havoc in the building of a part. I can only imagine the chaos in Boeing's and AirBus's engineering departments. I was told by a friend at Boeing that they had this very bright engineer that was an expert on Catia 5 and was later trained on Catia 4. He said that Catia 4 was in many ways a much better system for aircraft design. The Pro/e history only paradigm is just too complex of a process to use for design in an industry where the only constant is change and with such a high turn over of designers. I have worked with Boeing and Catia for over 30 years. Dassault is responsible for keeping Boeing one of the most ignorant and isolated manufacturing companies. Their lack of interoperability is beyond belief. Conclusion: Stay away from Catia, the push from Dassault with this product today is not 3D CAD, but a poorly designed PLM system to run your engineering documentation and company. With prices starting at around $9,000.00 for the basic system and a variety of optional modules that can drive the price sky high without much ROI. If you are stuck with Catia 5 there is a "huge" easy solution. You don’t even have to worry about legacy data. Products like IronCAD and ZW3D can not only read Catia 4, 5 and 6 native files, but can write Catia 4 and 5 native files. It is by far the easiest replaceable CAD system today, which is a bit weird since it is the least interoperable system. It is a bit humorous that Dassault calls their products the "3DEXPERIENCE". The 3D experience has been here since 1982, at least for me! Pro/e history/feature based only design. High initial and maintenance costs. TECH-NET does not recommend purchasing any products from PTC. They are moving to subscription only. We suggest you consider staying with a perpetual version or move to another package that offers a perpetual system. The problem is not just the subscription fee, but they now can hold your Intellectual Property hostage. No company can ignore this situation. 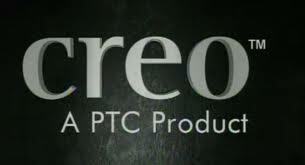 Creo seems to be a very fragmented product. PTC is responsible for putting 3D CAD on a path of standardizing of the most complex convoluted process for solid modeling ever devised. We are starting to finally overcome this tragedy that has cost and still costing the industry billions of dollars in incompatibility. Today all of the major 3D CAD programs are based on this dated paradigm putting the industry in a incompatibility head lock. None of the 3D CAD package based on this paradigm are compatible. Today, it is now more important for an engineer to have 3D CAD specific experience than industry related experience. 25 Years of 3D CAD Incompatibility - The New Generation of 3D CAD!! Is 3D CAD Productivity an Oxymoron? I really don’t have to get into the operation of Pro/e and its limitations. Many of you experience it every day. In the beginning this was the only 3D CAD system that was designed for solid modeling from the ground up. There was nothing to compare it. It was priced less than that the 3D wireframe/surfacing packages like CV and Catia and offered much more productivity by delivering the solid model even though its complex operation and had a very long, steep learning curve. The parametric functionality promised much more than it delivered. It could handle large assemblies and provide a technology hungry industry a viable solid modeling solution. Companies would bring on the program and get everyone trained, sometimes taking 3 months to get familiar and up to a year to get proficient. Soon the companies that came on board later started to recruit the experienced Pro/e users with attractive rates. Soon many companies realized that they were becoming nothing more than Pro/e training centers. This, of course, led to experience in the 3D CAD system an employment requirement priority. But back to 3D CAD. Pro/e has moved to Creo. There are two basic programs, Creo Parametric (Pro/e) and Creo Direct (CoCreate). Both are standalone systems. Creo Direct is an added cost to Creo Parametric. The base package is around $7000.00 if I remember right. I don't know the price of Creo Direct, but I am sure the cost of both packages is much more than NX which includes both functionalities. But the other optional modules can, like Catia, drive the price sky high. It is also mainly focused on providing a PLM solutions. These products are touted for large multiyear projects, with many concurrent users. Conclusion: This is another product I would not recommend. It really does not offer the ease of use that are delivered with any of the systems below. And I feel they have not fully integrated the direct editing, mostly creating a fragmented CAD solution. Direct Edit offered as an added option. NX seems to focus on MCAD more than both Catia and Creo. NX has robust somewhat integrated direct editing as part of their Pro/e paradigm program. It is like the other programs that have a faux integrated direct editing, where each feature modification is a step in the history. I have been informed, like ZW3D, you can have the parts, assemblies and drawings in one files. It, like the other PLM products, are delivering a non-standard or unique 3D CAD specific solution for handling the engineering data throughout the company. I am completely against these non-standard PLM solutions. We need a standard open system that these CAD companies MUST comply. This separate unique data management solutions are stifling the industry. Conclusion: NX offers an attractive design solution. The price is probably out of the range of most companies/individuals and really doesn't offer any more productivity then many of the less expensive solutions below. Also PLM is an integrated part of the design program. So, I would save my money and pass on this one. Solidworks is basically a Pro/e clone with a bit more flexibility. You may ask “Why is this somewhat limited dated program so popular?” It was put on the market in 1995 and was a very limited design package. But it did one thing. It used what I call “Autocad’s Perpetual Evaluation Marketing” scheme. Which means there was no copy protection put on for 10 years, it was added with the release of SW 2007. Before that the product was enthusiastically passed around and many have a copy of SW 2006 laying around, maybe, still being used. But no company will have pirated software. With the recommendation of individuals, who don’t have a problem with non-licensed software, they started buying SW. The users were available and up to speed. As I have told so many other CAD companies, "You can only sell CAD on referrals". There is really no reason to describe this product it really is just a Pro/e clone. But it is not just the price that makes it better than Pro/e. It has limited integrated direct edit functionality. Most of the users do not incorporate this into their design process because it adds a step for each direct edit function which makes it ineffective within the design process. It is priced much less than the above and offers equal if not superior performance. Conclusion: Even though it is bit better that the above products, except for NX, it is still limited by the dated Pro/e paradigm of separate part, assembly and drawing files. This functionality is touted by its new supposedly companion product, SW Mechanical Conceptual (see below) as being a limiting function. They have introduced the Single Model Environment. They are right, this is the most productive function in CAD today. This is why I cannot recommend SW. It just does not offer the interoperability that is available in other products. TECH-NET does not recommend purchasing any products from Autodesk. They are moving to a subscription only. We suggest you consider staying with a perpetual version or move to another package that offers a perpetual system. The problem is not just the subscription fee, but they now can hold your Intellectual Property hostage. No company can ignore this situation. I was introduced to Inventor when I took a job with a company that was going to provide the Autodesk Manufacturing solution. I started the training tutorials and I was up and running in a week. I found the tutorials easy and informative. The tutorials started you working in top down or in context design which I was very familiar. This is where you would work in the assembly mode creating your separate parts. I have always worked in this mode, which is why the following products are superior to this and previous products. It was my first experience designing in the assembly mode, even though, I had limited experience with Pro/e and SW designing parts, it was just to much work to follow up with assemblies and drawings. I was also introduced to Fusion which is the direct editing module. At that time it was a separate module and was fun to work with. I did a design modifying the non-native part and even doing the drawing. I would change the part in the Fusion module and it would change in the drawing. They have now integrated the direct editing function in Inventor making it even more attractive. But each direct edit function is still part of the history. This is a problem since at this time you cannot incorporate the prior history when you do a direct edit function. Until they make the direct edit functionality more of the design process, I feel the basic Pro/e paradigm programs are not taking advantage of the two paradigms. It seems that they are incorporating direct editing to modify non-native parts, not to incorporate into their design process. Sadly they are not providing the industry with a new 3D CAD solution with smooth integration of history/feature and direct edit functionality. But delivering limited Direct Modeling solution that do not have the parametric options. We truly need both. Conclusion: While Inventor is miles above SW with a much more intuitive UI, it still is limited by the Pro/e Paradigm of separate part, assembly and drawing files. worthless for suppliers that work with many different CAD programs. Like the Autodesk and PTC subscription only, you are married to Onshape. It is by far the worse solution for any serious engineering firm. You can not save the original file locally, in fact, there is no file format except in the cloud! Your engineering data is out of your control! This product is a very good collaboration tool and has the potential to be the standard in document control. Onshape! The Party is over! Onshape - Tech-net signed up to be a representative. Onshape has been out for a couple of years and I just don't see any value in this program. It offers little more than the above program and locks your data under their control. Sadly, they did not add any innovation in the modeling functionality, offering no more productivity than a Pro/e Clone. They do have direct edit functionality designed in from the beginning and not some second thought add on feature. It also allows design of parts, assemblies and drawings in the same document. This alone puts miles of the above products. Very few programs can do this, but sadly it "locks" you into the cloud. It costs $1,500.00 per year projects, which is basically maintenance forever. I am not sure this business model will create the revenue. Most will not use Onshape for a modeling package. Onshape does not have a format you can save locally. It is a document that resides only on eh cloud. Personally, I want my engineering stored and available locally especially for archiving. Most will stay with what they are comfortable. I cannot see companies moving to Onshape. The cloud for a company offers no real benefit. But, outside the scope of this article, Onshape is an incredible collaboration tool. You can upload most popular native parts and assemblies and all of the neutral formats. You can include PDF and other documents and images. You can share you designs with others in any level access, viewing, download and full modifications. Onshape could be a repository of standard documentation deliverables. We would first have to be assured that the cloud is secure. But it solves all of the problems that PLM is now facing. Take a look at an article where I presented this concept. It is easy to set up and the company only needs one paid license. Please read the part on setting up a standard deliverable on a webpage in the above article! Onshape completely serves the purpose. The Embedded Title Block! A PLM Solution! We were a reseller for Solid Edge years ago when they were introducing Synchronous Technology, Siemens direct editing solution. ST is now a part of the design process. This makes Solid Edge a much better option than SW or Inventor. Conclusion: I would recommend it over SW or Inventor. #8 May be the Ultimate 3D CAD System. ZW3D Advantage over every other system is the Value! Fully Professional 3D CAD starting at $1,300.00. It truly is worth a look. I understand that starting with pricing might taint my article. But price is one of the basic reasons for considering this product. It offers, by far, the best price/compatibility ratio. ZW3D is similar to the above systems. It is incredibly like NX in operation. Its history is a bit different since its history is basically the steps that you have used for the creation of your part. This allows an association with the optional integrated manufacturing Mold/Die Design and CNC Programming. It has both history and integrated direct editing. It, like IronCAD, can combine all of its history into one easy to modify Brep. It also has Boolean shapes available. What sets it apart from many systems it that it is the only history based 3D CAD system that can have the part, assembly and drawings in one file. You can design like the Pro/e paradigm and have standalone parts and it has integrated drawings. Very, very nice. Just imagine how, by having the drawing and part/assembly integrated into one file would simplify PLM or PDM? ZW3D has two levels of design products, a Lite version and a Standard version that adds Free Form Class A Surfacing, Precision Morphing, Sheet Metal and Reverse Engineering. You can add the functionality when needed. It is one of the few truly integrated CAD/CAM solutions plus robust Mold design capabilities. You can design and take it through to manufacturing in one associated product. ZW3D claim to fame is with its pricing starting at $1,300.00 it is providing CAD as a commodity allowing virtually anyone to afford to have a professional CAD system. You can get 4 seats of ZW3D Lite or 2 ZW3D Standard for the price of one SW or Inventor. All ZW3D programs include the capability to import Creo (Pro/e), Siemens NX/Solid Edge, Solidworks and Autodesk Inventor native files. Import and export Catia 4/5 native files and all of the standard formats. It includes the PMI information for NX, Creo, Catia and Solidworks. Conclusion: If you are a Hobbyist, Designer, Engineer or Inventor thinking about creating your own next great design or to doing consulting work and you don’t have the funds available for the other over priced CAD solutions, look to ZW3D. If you are a company with multiple seat requirements and are tired of paying thousands of dollars for annual maintenance for an overly complex system, look to ZW3D. It offers a very cost effective professional CAD solution and can be easily implemented into your existing engineering process. Conceptual Design - Which 3D CAD Paradigm is Best? Five Functions that Increase CAD Productivity!! Now for what I consider the best CAD system. IronCAD offers so much more functionality than any of the popular CAD systems. The best functionality above all of the others is the UDE (Unified Design Environment) or what SW Mechanical Conceptual calls the Single Model Environment. This allows you to have many iterations of the same design. Copying and pasting different parts or complete assemblies. They can be copied or linked. You can import large assemblies into SW and it would populate your hard drive with separate parts, assemblies and subassemblies it comes into IronCAD in one easy to handle single design space file with the parts, assemblies and subassemblies defined. It also has robust parametric history based design including both constrained and Innovative part design. Innovative part design allows you do design without defining constraints or concerns about design intent. Also included is integrated direct editing at the touch of the right mouse button. But it handles the direct editing much different than any of the prior products. When a direct edit function affects the basic history, it will consume the history into the solid model thereby giving you a hybrid part with a mixture of history and a Brep. Never to worry, you have all of the robust direct edit functionality to easily continue your design. You even have the ability to turn the model into a single Brep. The Lost 3D CAD Paradigm or How I Found Freedom in an UNFREE CAD WORLD! But those are not the only unique features. You design by dragging and dropping standard shapes, positive and negative plus custom shapes, parts and assemblies from an easy accessible standard or custom catalog. Now don’t confuse this with simplistic Boolean shapes, these are complex shapes based on sketches that can be edit. Yes you can have Brep solids also. All direct editing packages have a face or feature manipulator that allows you to modify face, shapes or part by moving or copying. But all have basically copied the Triball. This offers the manipulation of virtually all of the features, parts and assemblies miles above the imitators. While many of the other CAD system have one or two of these features, none have them all. None have the incredibly well designed drag and drop functionality totally unique to IronCAD. Below is a more complete review of the above unique functionality. IronCAD uses both the ACIS and Parasolid Kernel for even more compatibility. Showing differences in Import - Using Dual Kernel and Repair options. All CAD system are basically graphic design packages wrapped in the limitations of Mechanical Design. IronCAD still has many of the graphic design capabilities from the original package allowing it to be used in many more non-engineering related applications. It has integrated realistic rendering and animation plus a great documentation module that makes it a great tool for Tech Pubs, Marketing, Sales and any group that needs to view any data from any CAD system. Leverage Your Engineering Data throughout your Organization ! Conclusion: Before you fall victim to one of the Pro/e clones and the dated and complex paradigm. Take a look at the easy to use IronCAD. IronCAD's INOVATE offers a very inexpensive modeling only solution that provides incredible flexibility to your design process, much better than Solidworks Conceptual Design at $1,270.00 as compared to the annual rental fee of $2,988.00. You have to start somewhere with a new productive standard. IronCAD establishes that standard. I would not recommend these systems as your only engineering solution because they don't have one or two of the following capabilities: history based design, drafting capabilities or parametric functionality. I believe that history based design is the best for conceptual design. It seems to give more control over the design process in the conceptual design stage. But it can overly complex when design changes are required. An integrated history/direct edit environment is much more productive. Even though I prefer history in my conceptual design I would opt for one of the direct only programs for my tool of choice over the Pro/e clone. This was probably the program that pushed the high end systems over the edge, forcing them to consider direct editing. It is truly the best of the Direct Modeling only packages since it was built from the ground up as direct modeling/editing system. It offered a modeling only package in the beginning, but now is a complete design package. The price is equal to the mid-ranged products that offer more conventional design and direct editing functionality. I believe that direct editing should be an enhancement to history and an integrated part of the design process. This is the old CoCreate that was purchased by PTC. It is a dated program. I have used it and found it to be a bit clunky and non-intuitive. My focus with this program was direct editing with non-native parts. I would get strange errors when importing parts into CoCreate, and not sure what it indicated. But it is a fully functional CAD package. I am not sure how smoothly it integrates with Creo Parametrics. Sadly Autodesk has gone to Subscription only. This basically moves the product out of contention for a viable design system. No serious company would lock themselves into a subscription only CAD system for very obvious reasons. I inadvertently left Autocad out of this comparison. I have just a bit of experience with AutoCAD. 30 or so years ago, I got a copy and created a fence for my yard. I was already a 3D Computervision CADDS 4 user and Autocad was tortuous. It was an architecture based package and was not conducive to mechanical design. I was introduced to PC based 3D CADKEY in 1985 while on contract with Boeing. It was designed for 3D mechanical design and I quickly became a dealer. Sad to say CADKEY is gone. 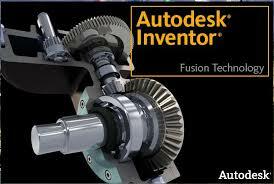 In 2012 I took a job as a Sales/Tech manager for a company that was selling the Autodesk Manufacturing solution. You can read about that experience in the Inventor description above. All of my sales calls were for Autocad. 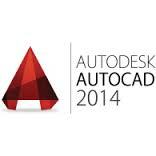 So against my Autodesk VAR managers wishes I took a bit of time to learn Autocad Mechanical 2012. I found it very similar to my first experience with the 2D interface. But, they now included surfacing and push/pull solid modeling. I found the surfacing easy, fun and adequate for light design. The push/pull solids were also fully functional. I can't remember if you could modify non-native solids. I had some fun playing, but did not do any serious work. I could not get past the idiosyncratic 2D interface. I got an email from a fellow who made me aware I had left Autocad out of this comparison. He is happily doing 3D design in Autocad and seems to be very proud of his 3D work. I am not sure of all the benefits of Autocad. As I look over the brochures and website I really don't see any reference to the surfacing, solid modeling or the access to Fusion which was included in the package. Can I recommend this package? I really can't, it really is sort of a kludge that I think Autodesk is basically stuck with. But if you are an Autocad user, I would definitely investigate these capabilities before moving to another package. It truly is not your fathers, uh, grandfathers Autocad. I was going to expand the the latest on Fusion 360, but it is subscription only. This is not a viable option for any serious engineering firm. I thought I saw a NX Direct Edit modeling only package. I am sure it would be a great package, ST is a very robust direct editing solution. I am not sure what this package is suppose to add to the Dassault's product line. 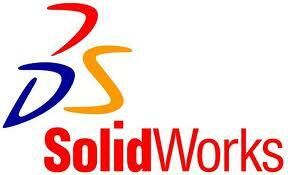 The introduction video actually points outs the weaknesses of Solidworks and Catia 5. It actually has some nice direct modeling functionality, but who wants a separate package to do your work. I am sure working in Solidworks and incorporating the included direct editing in your design process would be more productive. It has no detailing capabilities and you would have to import it or have access to it inside Solidwork to do the drawings. It offers somewhat bizarre complete collaboration functionality. They seem to think that engineering has dozens of people that have to be involved with the design process. I hate the re-engineering of engineering. There surely enough online collaboration tools. ALL ABOUT TELECOMMUTING AND ONLINE COLLABORATION! You might as well buy SpaceClaim or Creo Direct, you would probably be better off and they are fully functional CAD systems. Renting it at $2,988.00 (That must converted from Euros) a year seems to be a poor ROI. Also it has limited translators making it basically a SW add-on. You would think that Dassault would include the capability to directly read/write Catia, thereby adding easy accessible direct edit capabilities to Catia 5, I am sure Boeing and Airbus could would love it. If you need 3D modeling only, a better solution would be IronCAD INOVATE at the full price of $1,270.00 less than half of the annual subscription of Solidworks Conceptual Design. And you can download it today for a 30 day evaluation. It has an optional translator that reads all of the popular CAD native files plus reads and writes Catia 5. The basic version reads/writes Catia 4 and all of the standard formats (Described below). If you want to easily create models for 3D printing, rendering or animation, kinematics, etc. INOVATE is the program. INOVATE is an incredible value. It includes all of IronCAD incredible functionality except for Sheet Metal, Surfacing, Intellishape functionality and Documentation. Just compare it to what SW Mechanical Conceptual offers. It has all of the functionality and more. It has integrated history and direct edit modeling, Integrated realistic rendering and animation, sheet metal unfold, kinematics, Drag and drop design, etc. It is priced at only $1,270.00! With 52 years of experience in engineering, 17 years in manual board design as a contract engineer, 35 years in 3D CAD sales, support, training and providing engineering services, I have a high level of understanding of today's 3D CAD engineering world. For many it is in chaos. If you are having problems or just interested in this subject please feel free to call and we can discuss them. There are so many simpler solutions available that will save you time and money.